Monochrome laser printer with a 4.3" touch screen prints at up to 42 pages per minute and offers fax, two-sided scanning, copy functions and more. 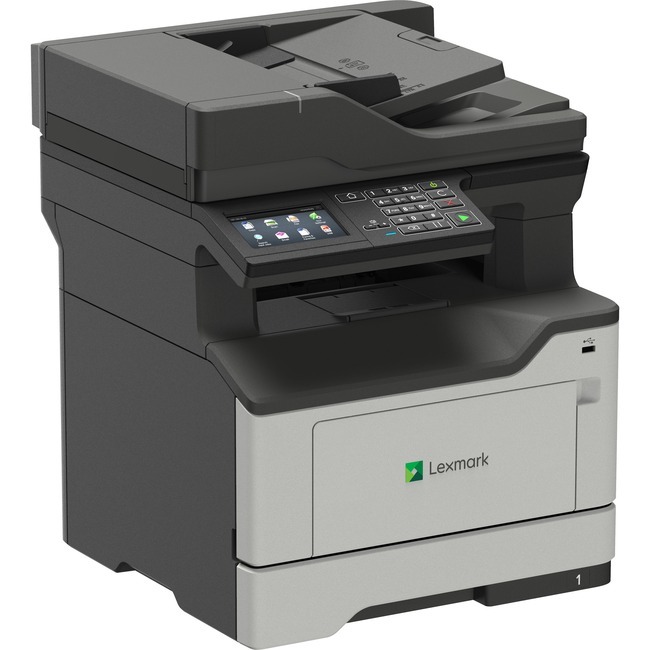 1 GHz dual-core processor with 1 GB of standard memory gives you the power to fax, print, copy and scan for maximum productivity. Make every watt count with energy management features that reduce power consumption whether it's active or in sleep mode. The included media tray adjusts to paper sizes from A6 to legal while the 100-sheet multipurpose feeder accepts smaller media and envelopes to give you even more design and output possibilities. Lower fusing temperature and automatic management of processor cores benefit the planet and your budget. Full-spectrum security features help keep your information safe and enables you to be GDPR-ready. Printer also includes 1024 MB memory, 50-sheet auto document feeder, 150-sheet output bin, 250-sheet input tray and more.